KU starts 2017-2018 campaign on the right foot with balanced effort despite limited bench to cruise past Tennessee State. 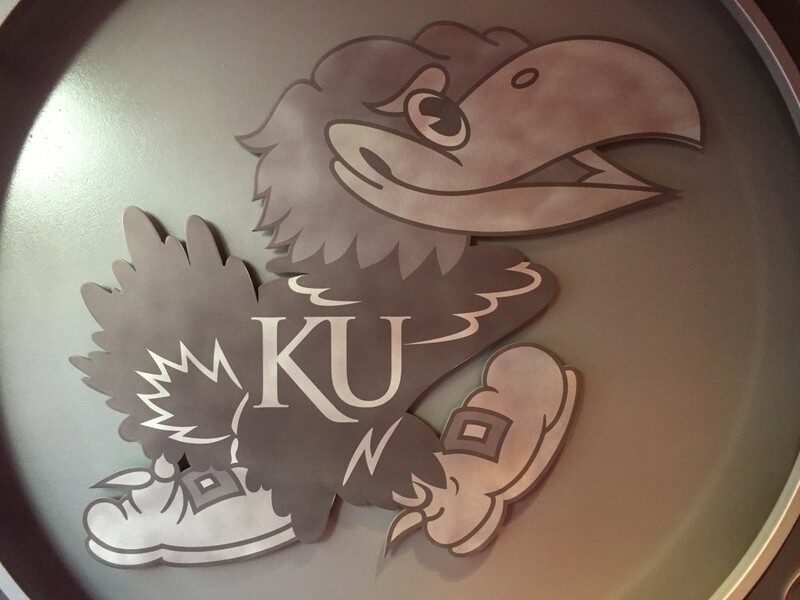 While the Jayhawks made it look easy in their first game of the season, the night was off to a less than ideal start with highly-anticipated freshman Billy Preston inactive for the game after missing class and curfew. 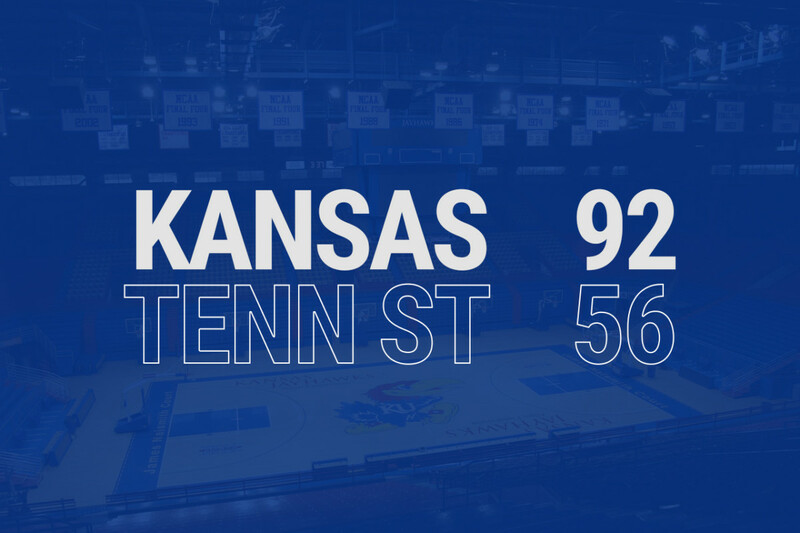 While his presence will surely be more critical next week, balanced play lead by Devonte’ Graham’s strong leadership and six players in double figures proved to be too much for Tennessee State. Rather than mailing it in, the Jayhawks sustained the kind of high level effort that one would expect to see from a Bill Self team. Marcus Garrett made the most of his first regular season start in Allen Fieldhouse, dropping 10 points. Udoka Azubuike made it look easy, displaying the kind of body control and patience in the post that Kansas will need to be successful this season. Svi Mykhailiuk is beginning to demonstrate the kind of talent development that is possible for players staying all four years, providing one of the first half highlights with a monster put-back. With the game never in doubt, Graham was given the opportunity to facilitate high-quality looks for his teammates and spread the wealth. Strong perimeter player from the likes of Lagerald Vick, Svi, and Malik Newman helped the team pull away with ease and opened up looks inside the paint. 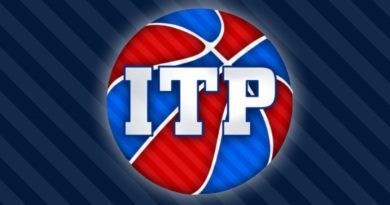 Lagerald posted a career high, indicating that he is ready to have the breakout season many have predicted. Nothing signals the severity of depth issues on this year’s squad quite like seeing Clay Young checking in during the first half of a regular season game. Luckily, the majority of Jayhawks showed discipline by staying out of foul trouble to ease the strain. Mitch Lightfoot was in danger of fouling out but continues to show signs of a high defensive ceiling. Lightfoot will need to be a strong role-player moving forward to combat depth concerns with only eight active scholarship players. Everyone stepped up with Udoka, Devonte’, Svi, Lagerald, Marcus, and Malik all in double figures. In looking for areas for improvement, the Jayhawks committed too many turnovers and struggled at times in transition. While the Jayhawks still out rebounded the Tigers, KU will need to become more formidable on the boards to compete with elite teams. 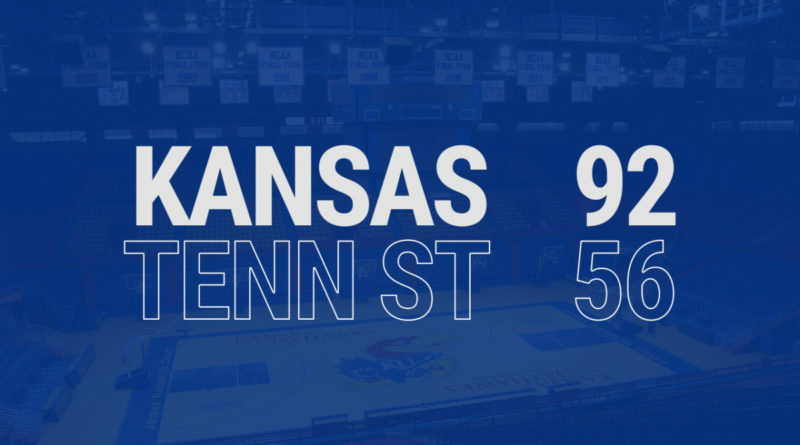 While fans should hesitate to overemphasize these kinds of games, it is worth noting that KU was able to dictate the course of play from beginning to end as Tennessee State attempted to play small ball with one of the best backcourts in the court and failed. KU put on a display worthy of a top five preseason ranking and played with an intensity and excitement level that will be critical against more formidable opponents, which will be crucial going into the Champions Classic against Kentucky on Tuesday. Proud KU marketing alum spreading the rock chalk chant throughout the east coast. Sucker for a good quality crying Jordan meme and forever wishing KU football will return to its 2008 glory. Outside of KU sports, you can find me hopelessly pulling for my Phoenix Suns and praying Joe Flacco becomes elite.